All TJSL referees are nationally certified by the United States Soccer Federation (USSF). See below for information about becoming a referee. Attend and pass a USSF referee course offered by the New Jersey Referee Committee. 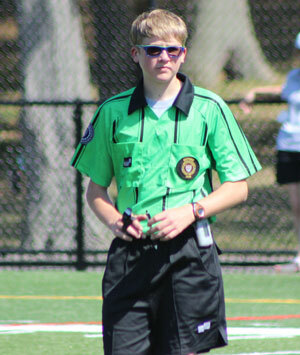 A complete course schedule can be found at www.NJrefs.com. There are two types of referee courses: Grade 8 Youth Referee Course and Grade 9 Recreational Referee. What is the difference between a Grade 8 and Grade 9 referee? The Grade 9 Recreational Referee can referee recreational games and be an assistant referee on competitive games up to U14. Attendees must be at least 14 years of age on the day of the class in order to register. The Grade 8 Youth Referee Course is designed for those who wish to start officiating youth travel soccer games (one can referee recreational games as well). Attendees must be at least 16 years old on the day of the class. Once I become certified, how can I referee TJSL games? After getting certified, referees should contact the .